... until finding out great minds really do think alike. Beginning of the story: I went to buy some working materials for some project I had to do at an art gallery which specialises in selling this stuff. Anything you could possibly think of, they have it. So, after picking what I had to get, I noticed this rack full of tube colors for painting cloths. Suitable for clothing and tees in particular, but also for furniture covered in cloth, pillows and so on. Picked one of the color tubes, but didn't have the opportunity to put it to a real test. 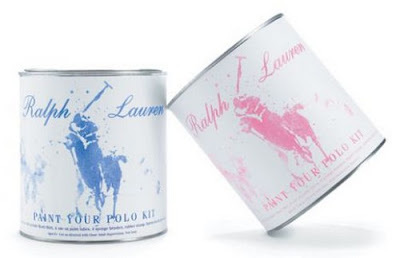 This however, is the real deal: "Paint Your Polo Kit” by Ralph Lauren Childrenswear. Available at Colette. Now go figure why I am so thrilled about this. It also seems to be one fun-fun project to do, especially while you are still a kid. Imagine, if I could paint my clothes when I was little, having special tools for that? Or patterns and such? Just how rewarding would that have felt? Awesome. Maybe the walls in the apartament would have gotten a normal treatment instead of spreading all sorts of coloring stuff, ink or crayons all over them. Hah. So is this a great idea or what? 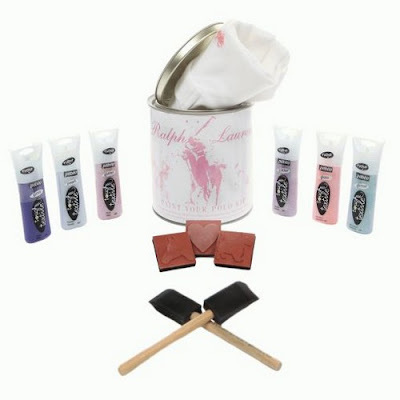 Give me a paint bucket and you're solved for life. 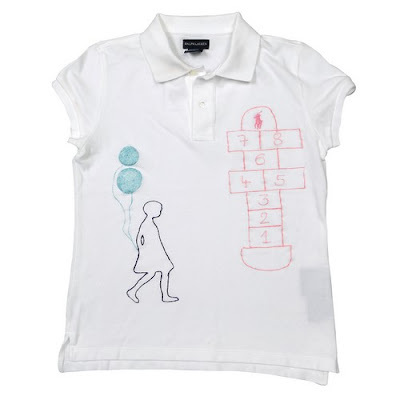 Great project idea (I might consider buying an adult polo and the kids paint set!). I wish it wasn't permanent (the paint), but this is a cool step. Once we get washable designs/reusable designs, then we'll have a winner on our hands.